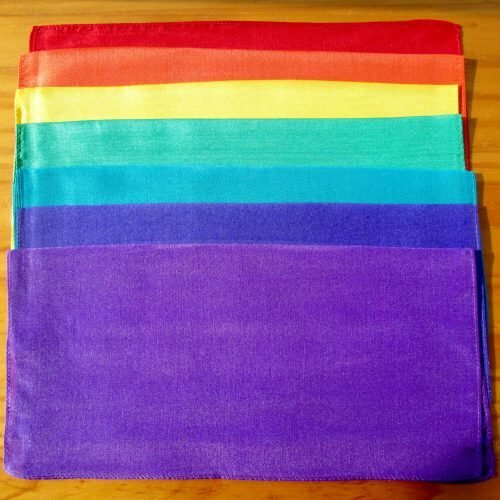 Colour therapy squares seven set wholesale pack consists of ten packs of seven silks. Importantly, they are made with a pure lightweight, slightly shiny pongee silk. Besides that, each chakra square measures approximately 25x25cm or 10 by 10 inches. 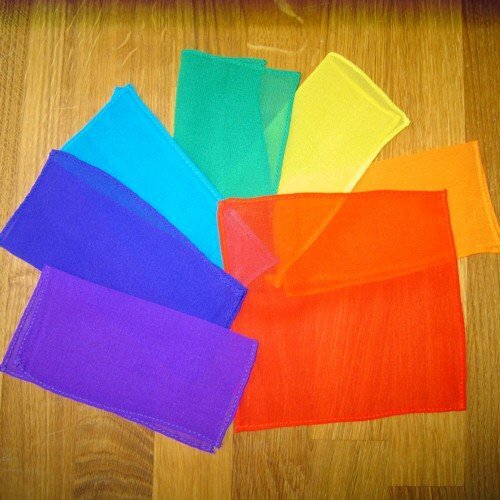 The “colour therapy squares seven set wholesale pack” is made up of ten sets of seven silk squares. Therefore they are for re-selling or incorporating in group work. First of all, you can use each set from your “colour therapy squares seven set wholesale pack” as a complete set. Lay each square in order, on the body or folded on the body. 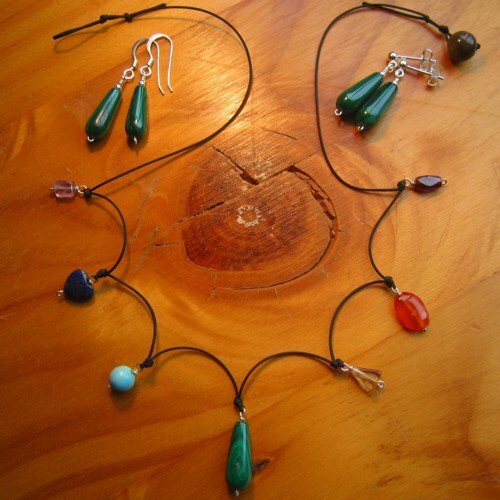 Another option is to pick out one or more specific chakra colours to concentrate and work on. 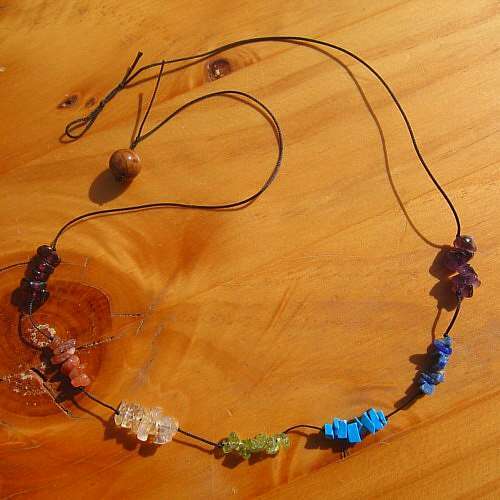 Furthermore, if you like working with crystals, you can also lay your crystal on top of each silk. You decide what method works best for you. Use the “colour therapy squares seven set wholesale pack” on their own or combine them with other methods and treatments. Great for use with singing bowls, reiki, colour therapy, crystal therapy, chakra treatments, hot stone therapy or many other holistic, alternative therapies or beauty treatments. Use in meditation or display as a focus point with your clients or with group work. 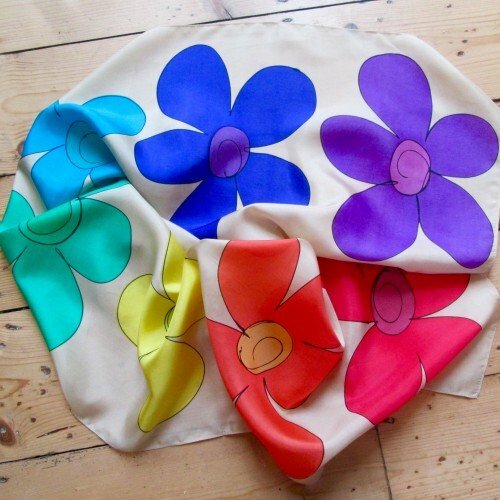 Previously, the”colour therapy squares seven set wholesale pack” was made with a fine chiffon silk. In contrast, this set is now made with a light weight, slightly shiny pure pongee silk. In addition to the new type of pure silk, I’ve changed the orange to a richer, true mandarin orange colour and also the red is a deeper, stronger colour. Importantly, clients love the new improvements and this continues to be my best selling “colour therapy silk squares seven set”. Enjoy!